Last year, I loved spending the lead up to Christmas getting into the festive spirit by reading as many Christmas-themed books as possible, and concluding with a mega giveaway to thank all my lovely followers. This year, I want to start getting festive as all the Christmas adverts are beginning to play, yet I am still sat here wondering what happened to my summer. It won't be as spectacular as last year, I'm not that organised this time round but there will be a couple of Christmas themed-prizes. 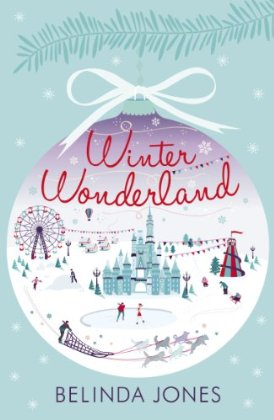 The first of which is Winter Wonderland by Belinda Jones. The cover reminds me of slow globes and Tiffany's and I can't wait to get stuck in to it. The publishers have kindly offered one competition copy to my blog readers. To enter - please follow the rafflecopter instructions below.